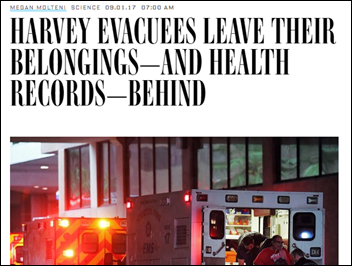 An article in Wired says that despite widespread use of electronic medical records, people with medical needs aren’t faring any better after Hurricane Harvey than following Hurricane Katrina in having their medical history available to first responders and new providers. The article blames lack of interoperability and EHR downtime caused by flooding and power outages. PULSE is currently being built to facilitate exchange during a declared emergency by extending interoperability across disparate technologies to support health information exchange. PULSE will allow Alternative Care Facilities (think of these as aid stations or MASH units set up during an emergency) so that EMS and authenticated volunteer providers can quickly get access to often life-saving data, when and where they need it. In the future, the PULSE system could facilitate patient lookup capability in an ambulance. During a recent demonstration by Audacious Inquiry, the contractor that developed the PULSE technology, the program’s benefits become readily apparent. In the event of an earthquake, or forest fire (like the one that recently ravaged Eastern Tennessee), first responders (defined under PULSE as any of six provider types, including doctors, nurses and EMTs) can query PULSE with standard eHealth exchange patient demographics—including name, date of birth, and gender. 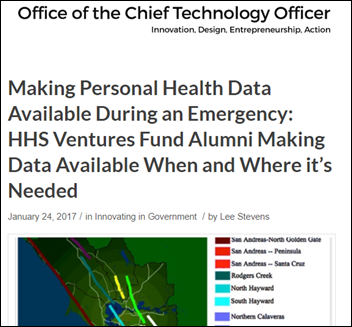 PULSE then sends out data tendrils to California-based HIEs, health systems and hospitals, for instance, looking for a match to the query. PULSE then enables first responders to see recent care notes from treating providers – including hospital discharge summaries and the Consolidated Clinical Documents (CCDs). As PULSE is being developed, we have tried to ensure that it can be a model for other states to use. To support future scalability, PULSE is utilizing industry standards when communicating with HIEs and hospitals. Poll respondents are OK with — clinicians with or without formal informatics credentials — calling themselves “informaticists” and are equally accepting of non-clinicians who have earned a graduate degree in informatics, but draw the line at a non-clinicians whose only credential is work experience. Harry suggests calling technically focused people “informaticists” and those specializing in clinical applications and user experience “informaticians.” Kelley says a challenge in public health is separating informatics from IT. New poll to your right or here: What is the primary reason hospitals don’t exchange patient information freely? CMS offers providers four “pick your pace” Quality Payment Program options for 2017. St. Jude Medical sues a medical security services vendor, claiming its pacemaker vulnerability testing was not only improperly performed, but also part of stock short-selling scheme. Apple announces the iPhone 7. In England, NHS announces a digital exemplar grant program for trusts. Merge Healthcare hires an investment bank to review strategic alternatives. Vocera announces its public offering. Harris Corporation investigates potential US bribery law violations by its Carefx China division, whose employees were found to have provided gifts and payments to prospects. Allscripts announces its largest EHR sale in its history to Columbia University Medical Center. A UK hospital blocks employee access to Facebook after heavy use degrades its network performance. Health Evolution Partners, started by former National Coordinator David Brailer, MD, PhD, begins its search for investments. FDA announces a voluntary recall of St. Jude Medical pacemakers to install a firmware update to fix cybersecurity vulnerabilities. CHIME and DirectTrust announce plans to promote universal deployment of the Direct network. Advisory Board announces plans to sell its healthcare business to UnitedHealth Group. Texas hospitals struggled with flooding from Hurricane Harvey. Mercy Medical Center (MD) will replace Meditech with Epic. Southeast Health Center Of Stoddard County (MO) changed from Medhost to Evident in June 2017. Integris Canadian Valley Hospital (OK) replaced Cerner with Epic in May 2017. Orion Health hires Terry Macaleer (Anthelio Healthcare Solutions) as president of its US operations. Henry Mayo Newall Hospital (CA) hires Ray Moss (Cedars-Sinai) as VP/CIO. 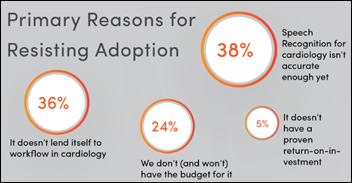 A new Reaction report finds that only one in four cardiology facilities use speech recognition, with far less enthusiasm and effort than their counterparts in radiology, but cardiology use is increasing quickly. Nuance and MModal hold 89 percent of that market. Cerner and its customer HealthSouth will work together to develop tools to manage post-acute care patients. A university in Canada loses $12 million to scammers who impersonated an employee of its construction company vendor in requesting that checks be sent to their new address that was actually that of the scammers. Companies that deploy AI systems must be held accountable for any illegal behavior that results. The AI system, such as a chatbot, must disclose that it is not a human in any conversations with humans. AI systems must not retain or disclose confidential information they receive, such as background audio recorded by Amazon Echo. 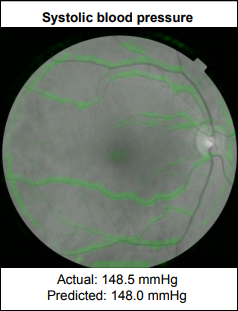 Google’s Verily life sciences company develops a way to predict cardiovascular risk factors by analyzing a person’s retinal image with a machine learning algorithm instead of performing blood tests. The model showed high accuracy in using only the retinal image to predict age, blood pressure, body mass index, gender, and smoking status. 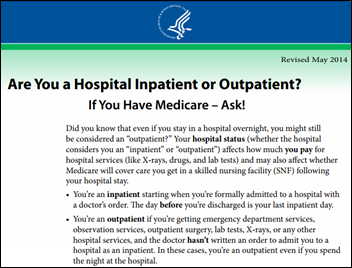 A federal judge certifies as class action a lawsuit covering all Medicare recipients who were hospitalized but categorized by the hospital as observation patients, which means that as outpatients without necessarily knowing it, they pay more for drugs, co-insurance, and nursing home care.